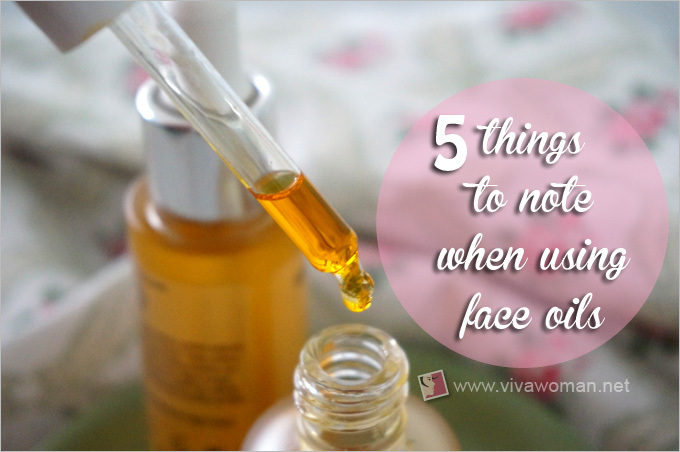 Have you got a case of too much oil on your face? Or too much oil on your hair? Maybe both? I’ve got quite an overdose of oil on my head and already, I’m frustrated. 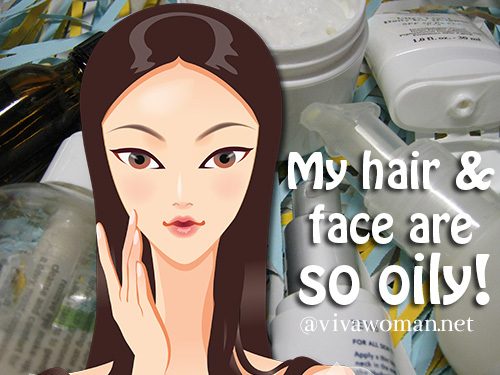 So I can imagine how much of a bummer it is to deal with having both oily face and oily hair. Not only is it affecting how you look, it can affect how you feel. I mean, shiny skin, smeared makeup, hair that is stuck to your forehead half the time. Definitely. Not. Appealing. In fact, you may also be combating with blackheads, enlarged pores, pimples, sallow skin tone, clogged follicles and not forgetting, hair loss. Too much oil is definitely not a good thing. 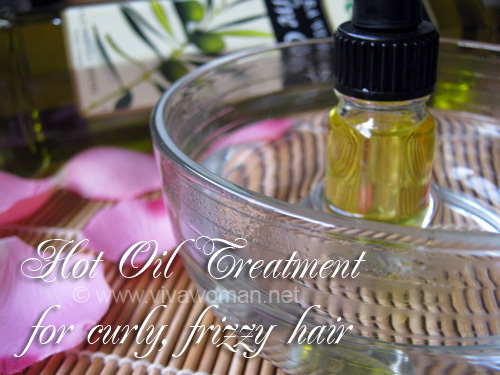 It’s very tempting to overwash your oily hair and face just to get rid of the oily feeling. However, when you overdo it, you are basically stripping your scalp and skin off their natural oils and causing your oil glands to go into an overdrive mode to produce even more sebum to compensate for the lack of oil. Hence, it’s best to cap washing your hair to once a day at most, and twice a day for your face. Even then, you need to choose a gentle shampoo and facial wash that are free of harsh detergents like SLS or SLES. And if you practice double cleansing, do it just once a day and go easy on massaging your head and your face too k? If you’re a teenager, you’re likely to have oily skin. This is because of androgens in your body stimulates the oil glands to produce extra oil in your skin cells. But if you’re well past your teens, you need to know that spikes in androgens can also happen just before your menstrual period. As a result, this increased sebaceous secretions causes our skin to become more susceptible to spots and breakouts. Yeah, bummer! And there’s not much you can do except to take extra care of your skin during this period. We know it’s no longer true that what you eat does not affect your skin. In fact, what you eat has a GREAT impact on your skin! If you’re consuming lots of dairy, sugar, refined carbs, or hydrogenated oils that contain trans-fats, you’re contributing oil to build up in your hair and skin because these foods can increase the amount of androgens in your body. Most people seem to think that not drinking enough water causes our skin to become drier. Well, that’s definitely true. But dry also means, your skin may have to go into an overdrive mode to produce more sebum. Hence, drink up! Also, you need to moisturize. Avoid heavy creams and pick a light lotion so that your skin does not suffer from dryness, which in turn will cause it to produce more sebum. Strangely, while essential fatty acids that are found in salmon, walnut and flaxseeds come across as oily, they actually help to prevent excessive oiliness in both your hair and face. So do consume sufficient EFAs if you want to have healthy hair and skin! Science has it that when you are stressed out, both your hair and face will become shiny for the wrong reasons! This is because when a person becomes stressed, the level of the bodyâ€™s stress hormone (cortisol) rises and causes an increase in oil production in the scalp and skin. I can tell you from experience that my scalp and face oozes more oil whenever I sleep late. Don’t believe me? Try it! But logically, this follows from the previous reason related to a high cortisol level due to stress and anxiety. Overactive sebaceous glands could also stem from having skin or scalp disorders such as dermatitis. Symptoms include oily skin and hair, flaking and itching of the scalp skin, hair loss and redness on extended areas of the skin. On a more serious level, those with disorders like polycystic ovaries syndrome (PCOS) can experience more sebum being produced in their skin, leading to oily hair and skin. This is because the ovaries make more androgens than normal and as we’ve seen in reason #2, that stimulates the oil glands to produce extra oil. 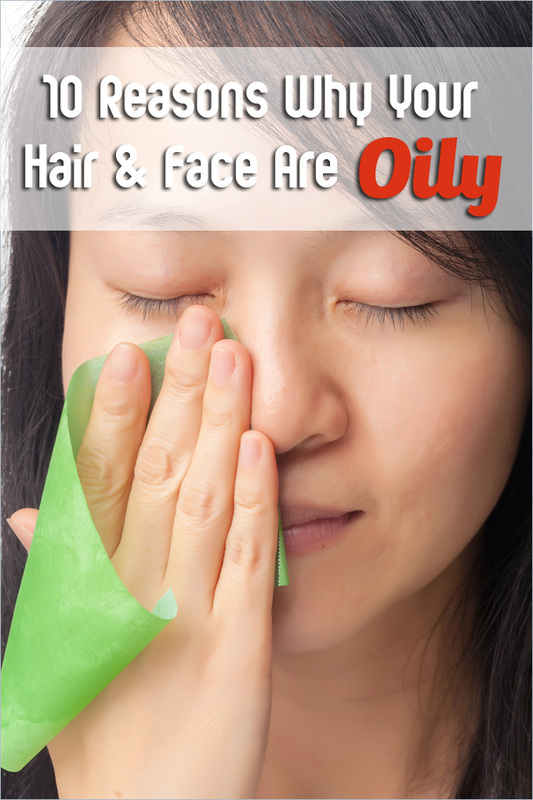 It also seems that if your parents have a case of oily hair and skin, you’re predisposed to show the same oily signs. Unfortunately, there’s not too much you can do here except to take better care of your hair and skin through your lifestyle and the products you use. If you have oily hair and/or face, can you identify with this list? And do you have something you do that can help someone else banish oily hair and skin for good? If so, please share! I hate it when I eat too much diary! It’s not my favorite too…I try to avoid as much as possible. This is a problem I have suffered with since I had children. I always seem to have that oil slick right across my face. However they do say that those with oily skin age later than those without. I am hoping this is true! Oh yes, I’ve read that too. Well, that’s a plus point and I think it makes sense! Oily face, dry hair here! Ah…I have oily hair, oily t-zone. I think diet affects me more than the others. It’s probably too drying due to the weather? Are you sleeping in an aircon room? Try to use a moisturizing lotion if you can. Haha…might be difficult cos my issue is the opposite. veering off topic a little but i realised recently that i sleep better (and fall back to sleep more easily when i wake up in the middle of the night) if i drink enough water! That’s awesome! I hadn’t realized that sleep has a link to drinking enough water. I’ve read that drinking water helps balance out your hormones and of course the extra water helps regulate your body temperature, both of which should help your sleep. I think my biggest problem is with stress and anxiety. I get all oily and greasy due to work stress, then I tend to over cleanse. It’s a vicious cycle! Thanks Lisa for explaining. Very interesting to know. I’ve not come across info that drinking water helps balance out hormones. Very very interesting! Hope you can find some time to relax and not be overly stress and anxious. Well, I know it’s not something you can easily control but what I usually tell people is, look away from the issues and focus on something that is more positive. Also, being stressed is probably due to worrying and worrying will not get you anywhere. I’m not sure if washing with hot hot water is such a good idea. Not only does my scalp and face produce so much oil, but it burns, stings, itches and turns my face bright red, especially my nose! The only time I experience these symptoms is when I’m so oily. I’m thinking demodex or skin mites??!! I’m not grossed out, but I’m so depressed about the sensitivity and the level of oiliness on my face and scalp. The oil of my skin does not allow my make up or moisturizer to stay on. I do not have acne except for the occasional blemish around the time of menstruation and some blackheads here and there. The stinging, redness and hair loss is depressing. Have you seen a dermatologist for your skin issues? Yes I have seen two different dermatologists and my doctor. They all say rosacea. I have no acne, and no dry skin at all. But a scalp and face that are oozing with oil and causing the itch, sting, burn, and redness. I too suffer from oily hair and face. I believe it has a lot to do with diet. I started the Whole30 last month,only lasted 2 weeks, but i noticed a difference in my skin blemishes within that small amount of time. I plan to start again seeing it through the 30 days. Hopefully i will see improvements. Does anyone have recommendations on good face wash and shampoo for oiliness? Unfortunately for me I have many of the 10 commen reasons for having oily skin and hair including genetics. My Mom has large pores, but she doesn’t really have oily skin, or hair. My Dad however, from what I hear had very oily skin and hair. I also tend to eat a lot of dairy and sugary foods. I have tons of stress and anxiety. Can you please elaborate more on number 7, sleeping too late. How late is too late? What is the best time for bed and waking up? Best time to sleep is by 11pm and wake up about 6am or 7am for an 8-hour rest. I all so have oily skin on my face and scalp. I have seborrheic dermatitis mild. I have to use oil pads all the time through out the day. I just want it to stop I hate it. Any one know anything that can help stop it. hii. i am 21 year graduate student from India. I have highly oily hair and pimpled skin. i am most stressed about this. my t-zone is excess oily and also have dark patches around my nose. i have been through various medical treatments, parlour treatments but nothing effected much. it looks well untill a month or two and is again the same after that. also i am confused about which beauty product to use and which not. please help me. i need your guidance much. Hi I don’t know if I’m too late for this answer . But with my T zone that is always oily and get lots of pimples I have to. I use it in the morning and at night and it works super it helps keep my face oil free smooth and is also withering . DO NOT BUY THE BLUE ONE BECAUSE I TOO HARSH ON SKIN AND IT ACTUALLY GAVE ME A SKIN RASH . But the other ones work great. If I don’t use clearasil for a few days my skin gets super oily and I start to get very big pimples and spots . Hi I donâ€™t know if Iâ€™m too late for this answer . I have very oily skin and Iâ€™ve found the â€œcureâ€ for it. But my T zone is always oily and get lots of pimples And blackheads so I have to . I use it in the morning and at night and it works great, it helps keep my face oil free smooth and is also whitening . My favourite one is the clearasil daily facial scrub the green one and second favourite the pink one. DO NOT BUY THE BLUE ONE BECAUSE IS TOO HARSH ON SKIN AND IT ACTUALLY GAVE ME A SKIN RASH . I have Oily skin and my hair become oily if I don’t wash it everyday. It seems to have dandruff also if I don’t wash hair everyday. And its creates hair falling.Is there any remedy?Medicine? My skin is very oily and open pores,because of that too much acne and small pimple, i am also suffering from bones problem like rheumatoid arthritis when i was only 8 year old and presently suffering from osteoporisis, i am taking homeopathic medicine from last year april but still my skin is oily and now some red reashes on my face, i am too much stressed out nothing is working on me,. And yes my skin is sensitive also and littke hairs on my face, what can i do for it. My daughter (10) has super oily hair, and is getting pretty decent break-outs on her forehead already, does anyone have any suggestions on what we could do, besides the Dr. office? my hair is very oily at the roots and extremely perfect at the tip maybe ill try to sleep early. It could be due to sleep or diet. Try and adjust your lifestyle and see if it makes a difference. I’ve come to accept my oily hair and skin. In fact, it’s even healthy! It moisturizes you thoroughly. I used to have to blot my forehead and nose every hour. The Citrus Clear Grapefruit Spot Treatment is the only toner/spot treatment that takes away the oil and shine from my nose and forehead. No more blotting all the time! Try to up your hydration…apply a hydrating lotion. 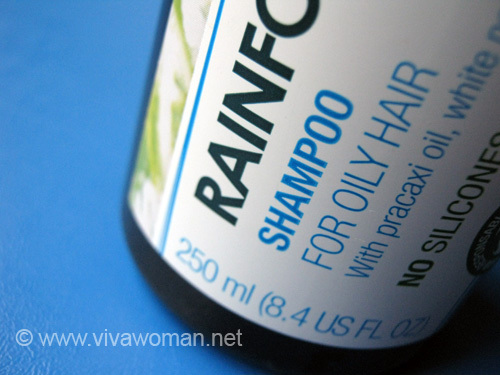 have a oily scalp hence oily hair which creates dandruff… I have to wash them daily. Still cant control oil and dandruff. Please suggest. Also any shampoo and oil u would like to suggest. Great article! Just being picky here, but you can’t eat a diet high in insulin. You can eat a high sugar (high in refined sugar, carbohydrates(simple and complex)) diet which spikes your blood sugar and in turn spikes your insulin. But you do not eat insulin. I’m young so I can’t really do much or by stuff or use stuff and my parents won’t buy stuff because I don’t feel decent. Also if I don’t wash my hair the night before it’s oily when I wake up. Well this was extremely informative! I have always had really oily skin and hair, to the point that a day without a shower looks like iâ€™ve been swimming. I had just found out recently that Iâ€™ve had PCOS since around 9 years old. I never knew it could cause oily skin and hair on top of everything else but low and behold, it does! Tha k you a lot for the information! Hey Sesame, Thank you for sharing this guide about oily scalp. I am currently facing oily scalp problems. But the tips and remedies that you mentioned it are quite helpful to me. Thanks for sharing keep updating.